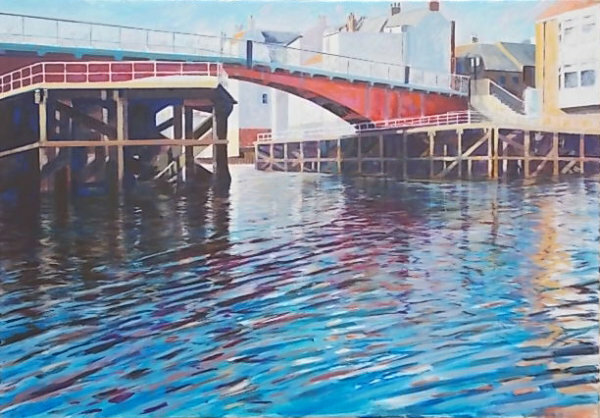 Paul Blackwell: Whitby Swing Bridge Evening. Large oil. Whitby Swing Bridge Evening. Large oil.